We have some exciting news! Coach Mark and I been able to arrange for a private screening of the film, "Boston: The Documentary" at Vinegar Hill Theater on Thursday, November 16th at 7:00 pm. 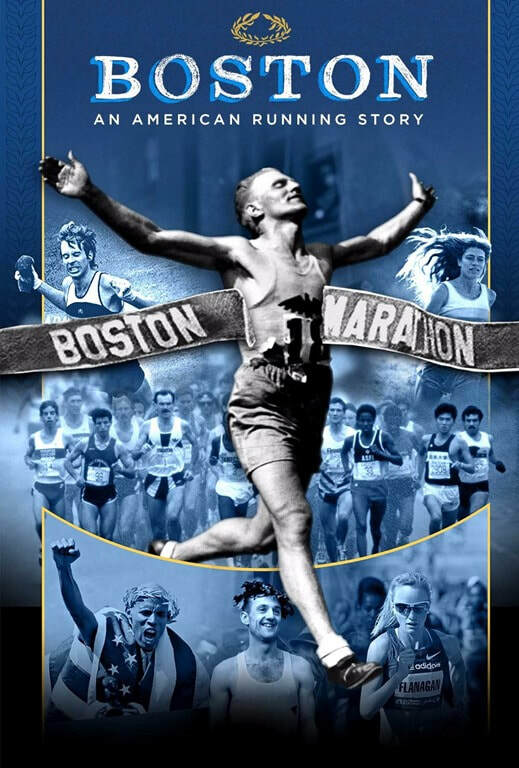 For those of you not familiar with this film, it's a history of the Boston Marathon, directed by Jon Dunham (the guy who brought us "Spirit of the Marathon" a few years back), narrated by Matt Damon and produced with the cooperation and assistance of the B.A.A. The film has gotten wonderful reviews in limited release and is being mentioned as a likely Academy Award nominee. Here's the deal. The cost is $12 each and you're welcome to include your own friends in family in reserving seats. The caveat is that, if you tell me that you do want tickets, we'll expect you to pay for them, whether you change your plans or not. We're walking a fine line in trying to get enough people to pay for the showing and also making sure that friends who hare excited about our sport and this legendary race get to see it. You can reserve your seats by emailing harryj.landers@gmail.com and telling me how many tickets you want. Since it's a do-it-yourself affair, I'm afraid that we can't take credit cards, but you can either use my PayPal account (just use my email address to find it) or pay cash at the door. Exact change will be much appreciated.